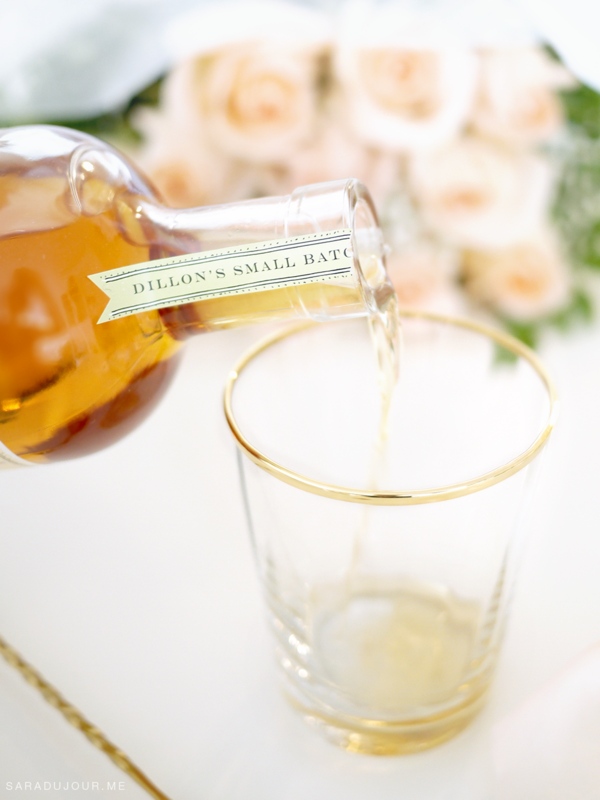 I’m strictly a gin drinker, and my go-to cocktail for any occasion is the gin and tonic. 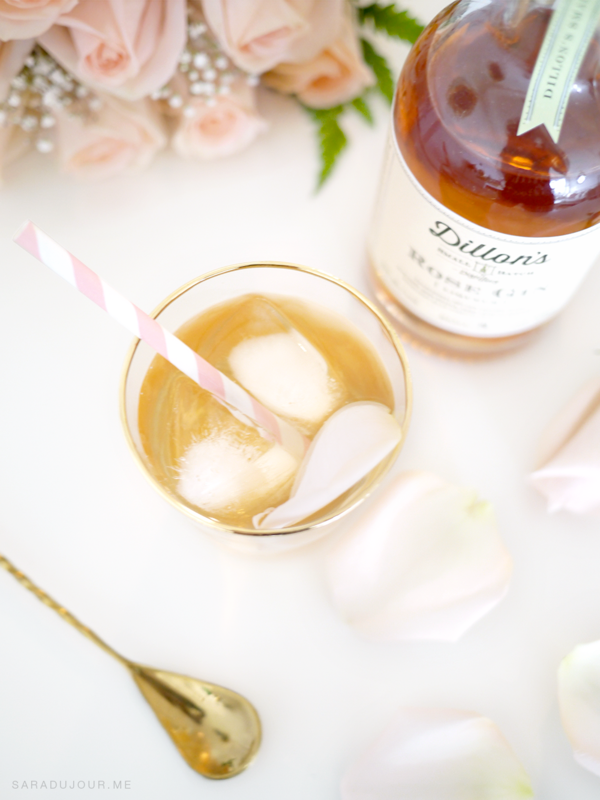 While the basic G+T never goes out of style, sometimes it doesn’t hurt to dress it up a little, and give the classic cocktail a modern update. 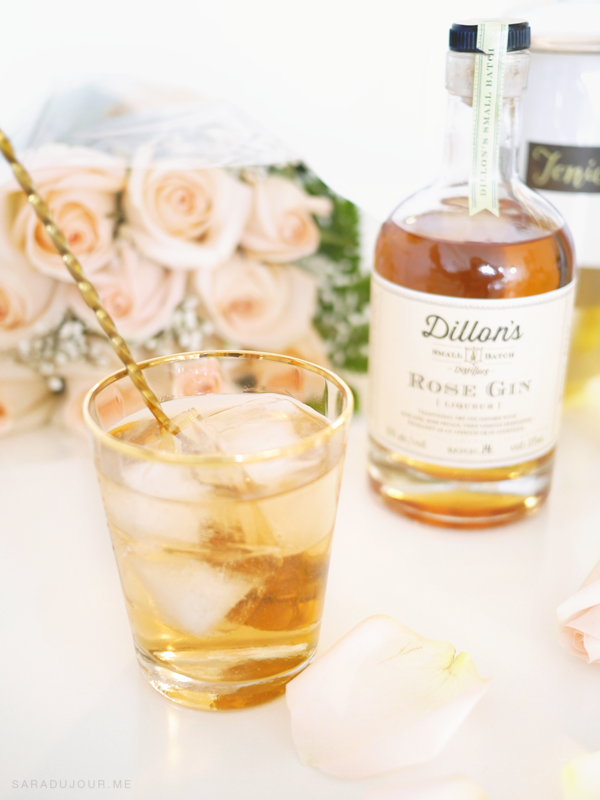 Enter my Dillon’s Rose Gin and Tonic recipe – a delicious, slightly sweet concoction created to delight all of your senses. 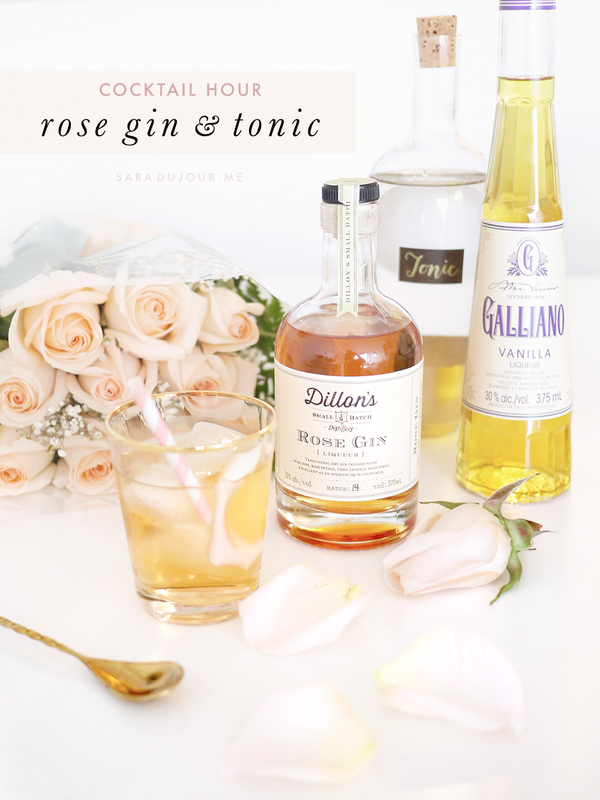 Not only does this gin and tonic have subtle hints of rose in it, but it also replaces the tangy citrus flavours found in the classic cocktail in favour of sweeter notes, thanks to the vanilla liqueur. 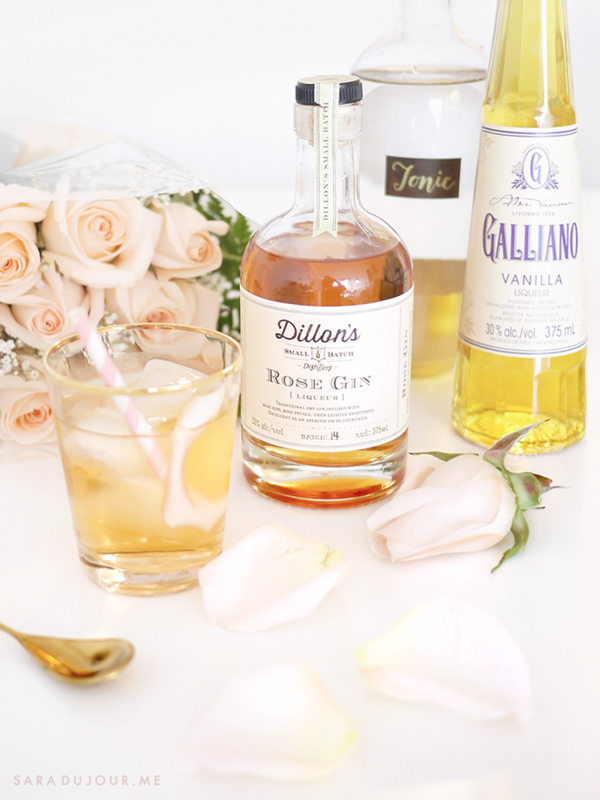 I like to combine the Dillon’s Rose Gin and Galliano first, so that I can give those a proper swirl with my bar spoon, before adding in the tonic water and ice. I find this helps the flavours to mix better. 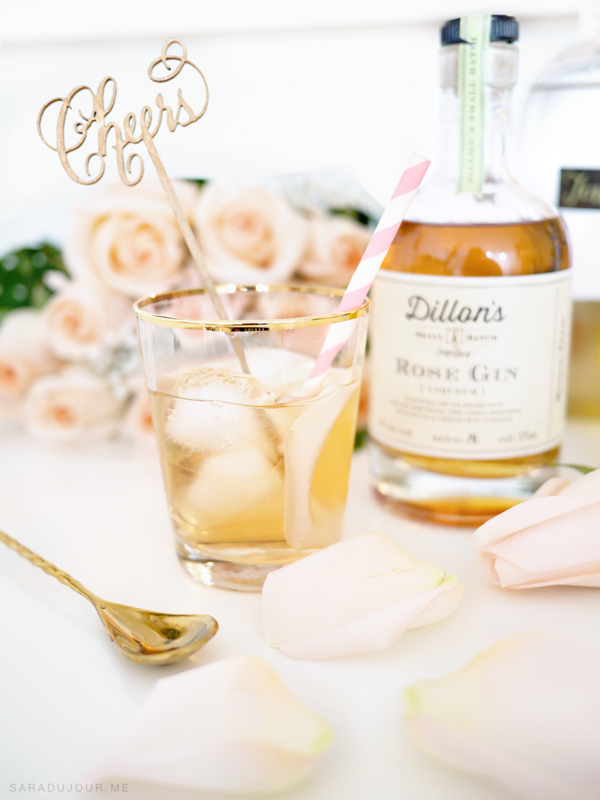 Once the cocktail is properly stirred, pop in a straw and garnish the drink with a fresh rose petal or two, to bring out the rose notes in the gin and – let’s face it – make it look incredibly fancy.